Again… Is strongly recommended you have a valid backup!!! 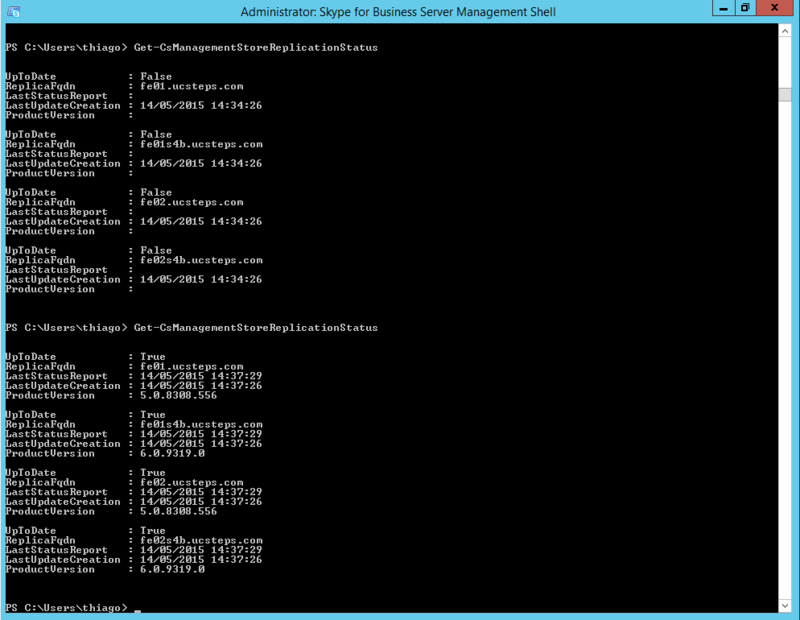 What is Central Management Server? The Central Management Server is a single master/multiple replica system, where the read/write copy of the database is held by the Front End Server that contains the Central Management Server. 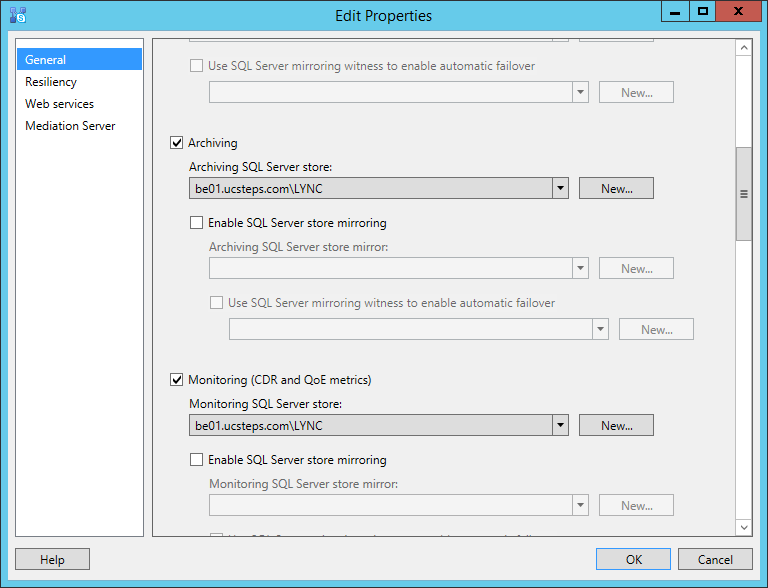 Each computer in the topology, including the Front End Server that contains the Central Management Server, has a read-only copy of the Central Management store data in the SQL Server database (named RTCLOCAL by default) installed on the computer during setup and deployment. 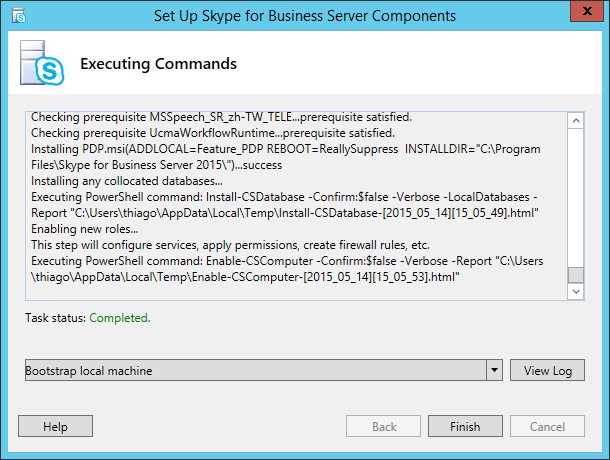 The local database receives replica updates by way of the Lync Server Replica Replicator Agent that runs as a service on all computers. The name of the actual database on the Central Management Server and the local replica is XDS, which is made up of the xds.mdf and xds.ldf files. 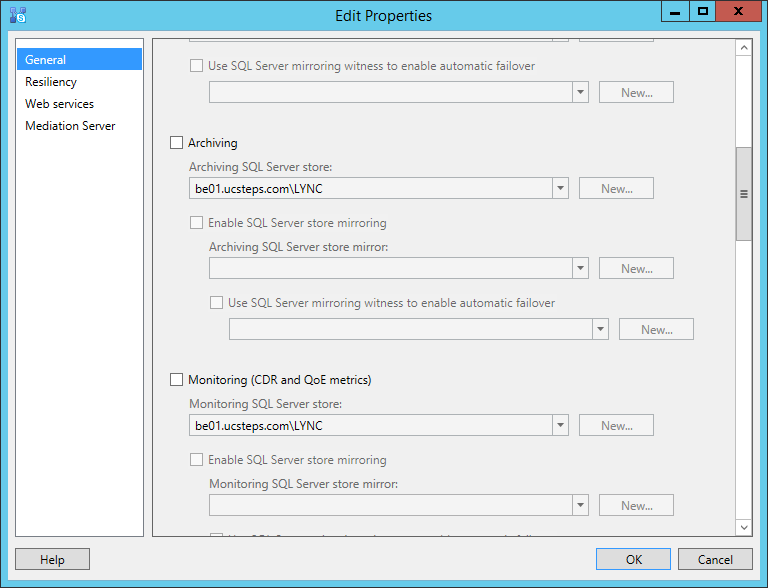 The master database location is referenced by a service control point (SCP) in Active Directory Domain Services. 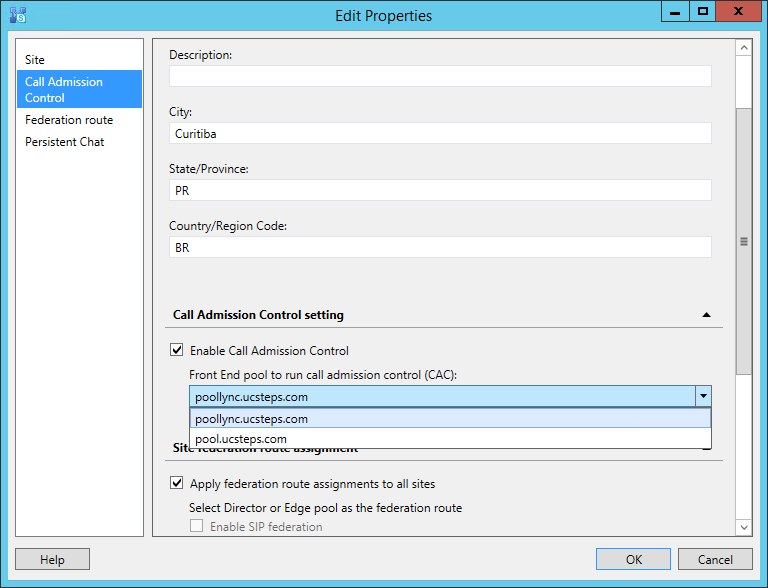 All tools that use the Central Management Server to manage and configure Lync Server use the SCP to locate the Central Management store. Let’s Install and move the CMS. Nice. 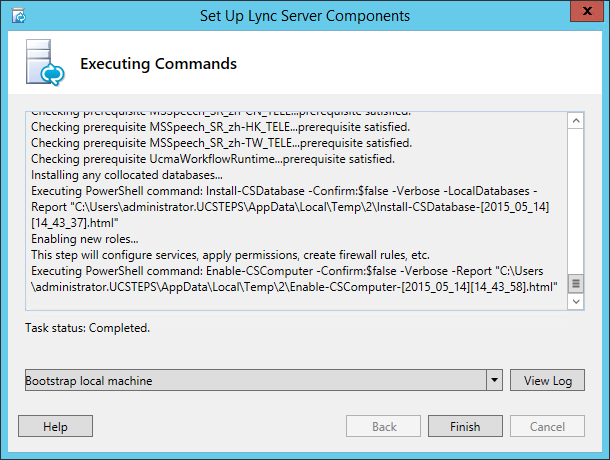 Now, run the step 2 to install or remove the Lync components. To remove the pool, we must unassign the features attached. I.E. : Archiving, Monitoring, CAC, Mediation, Edge and so on. 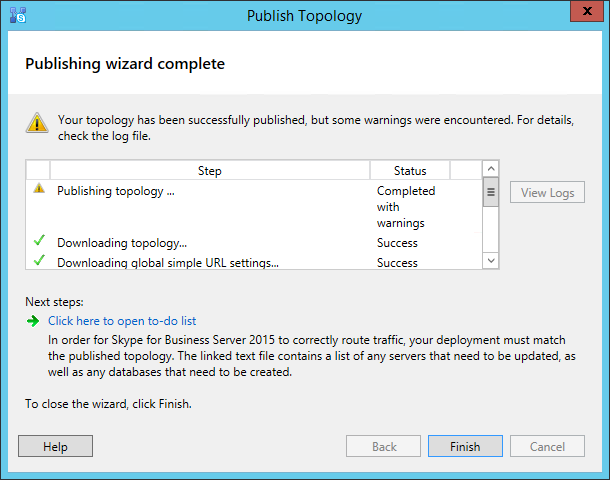 Now you not have any Lync Server 2013 in the Topology Builder. 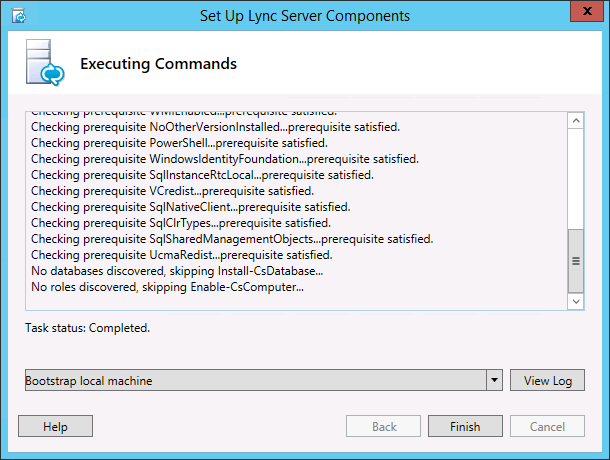 So, run step 2 in all servers to install and active or deactive and uninstall the Lync Server components. 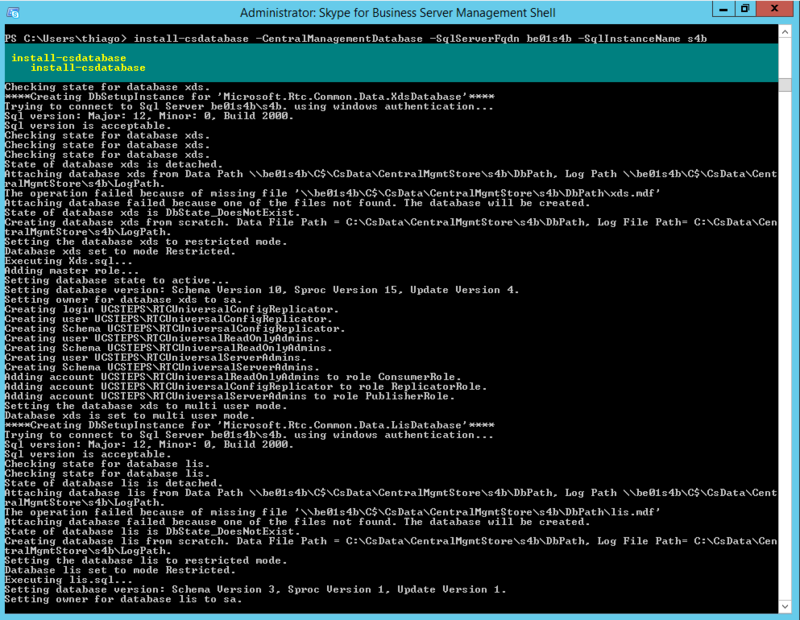 Now, at the Control Panel, check the Topology status, or, you can check in powershell with Get-CsManagementStoreReplicationStatus. That’s all folks, I hope you enjoy! 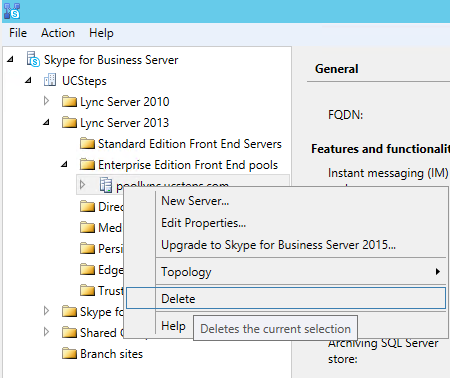 What about changing the DNS A & SRV records that point to the original Lync 2013 pool name? Don’t those need to be updated at some point? Yep, after all the migration steps and before the remove Lync Server 2013, you need to set the records to SfB pool. In addition, when deleting the old pool and then publishing the topology, you may have an error mentionning conference directory still assigned to the old pool. Get-CsConferenceDirectory and see which one is assigned to the old pool. 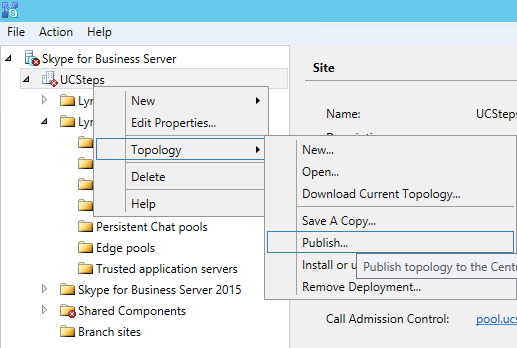 you can now remove the pool from the topology and publish it successfully. Maybe if you check step 2 you could see that .